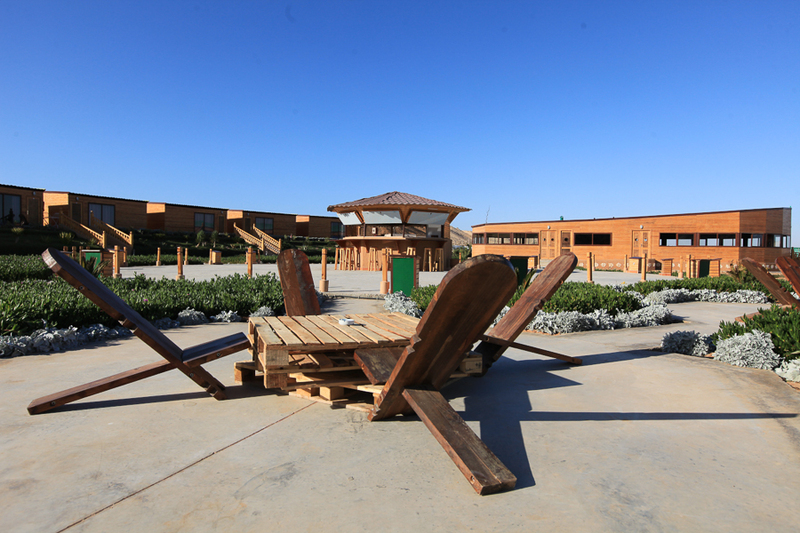 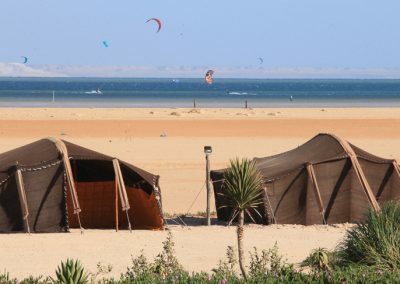 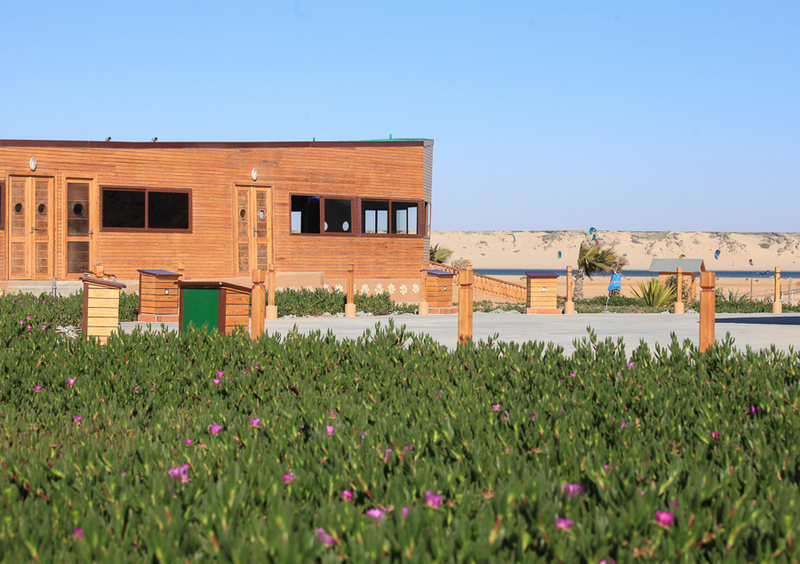 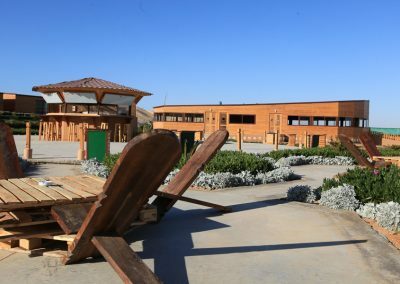 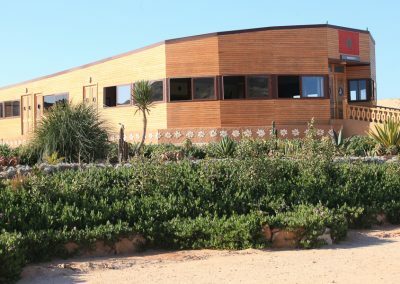 Dakhla Kitesurf World is a new camp providing top notch kiting program for all levels and casual-chic accommodation with a dash of authenticity in such a way to experiene the local culture. 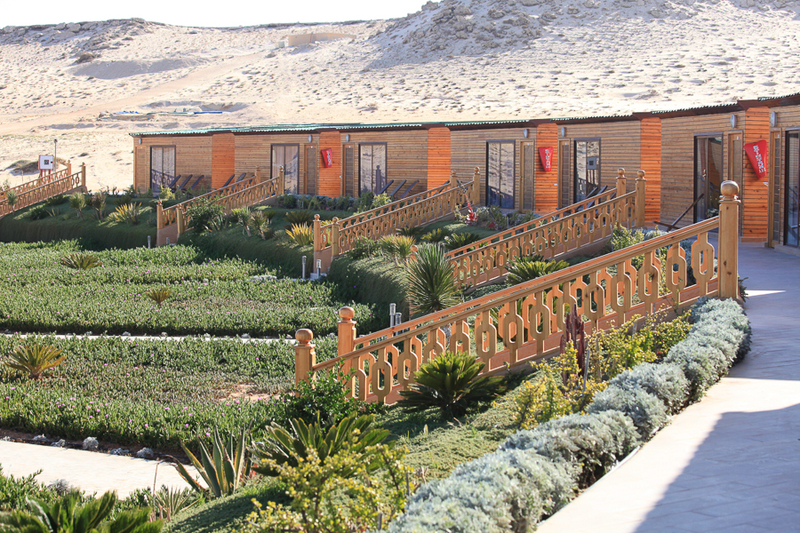 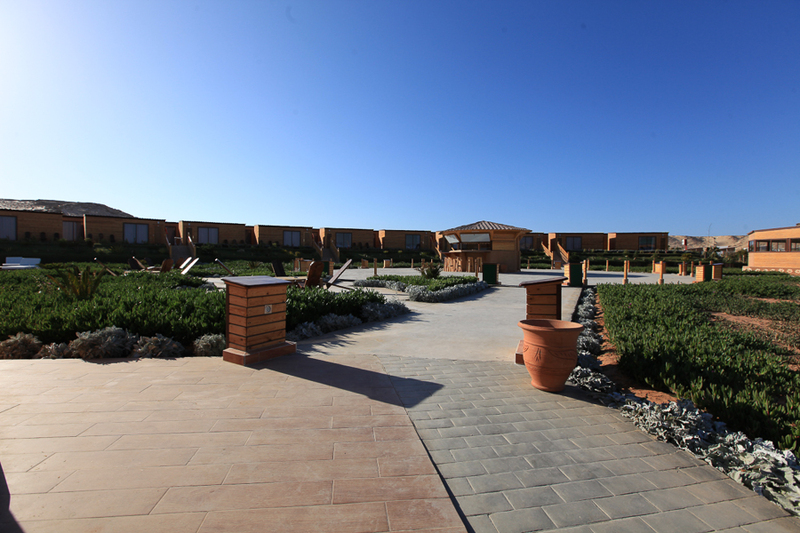 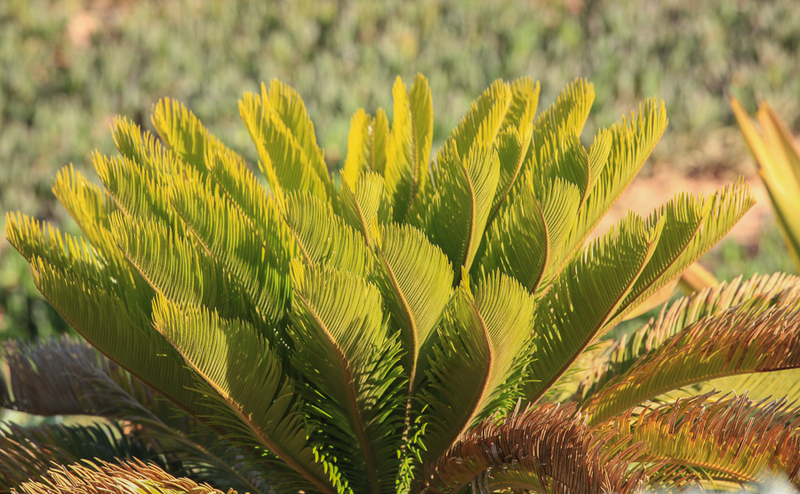 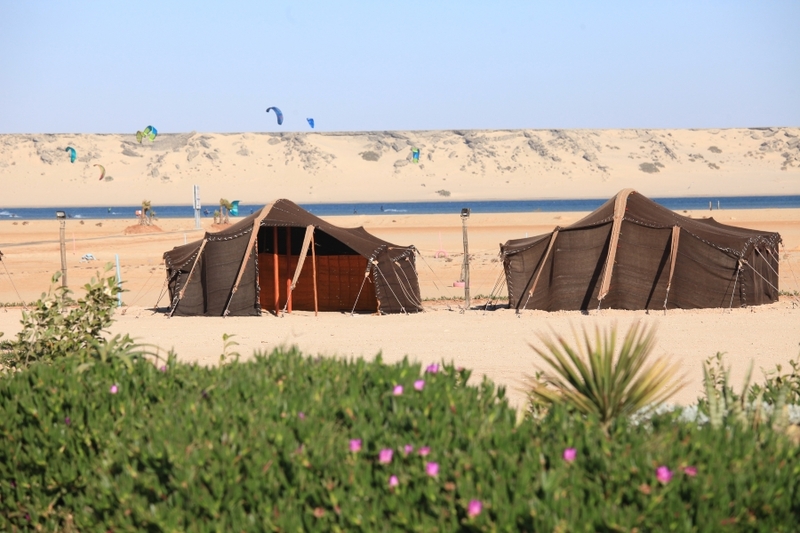 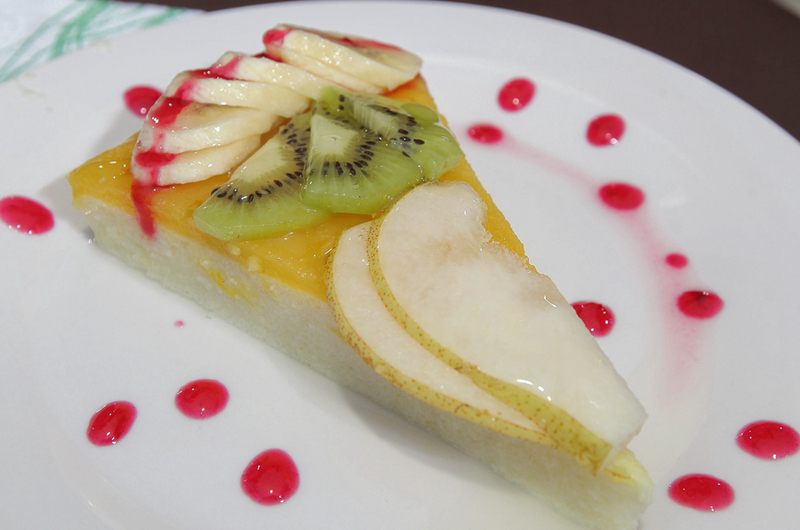 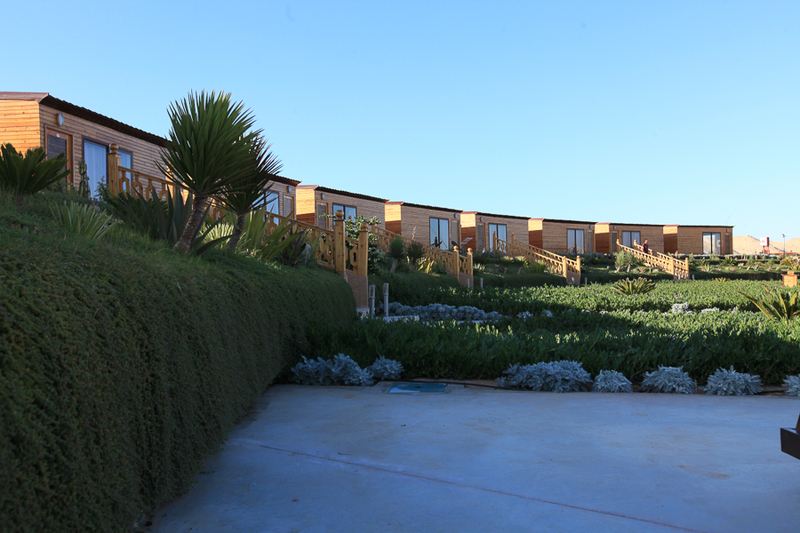 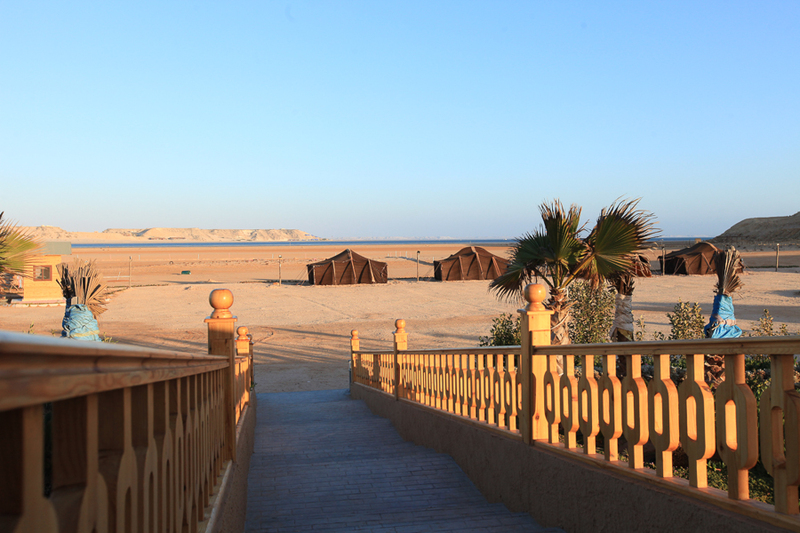 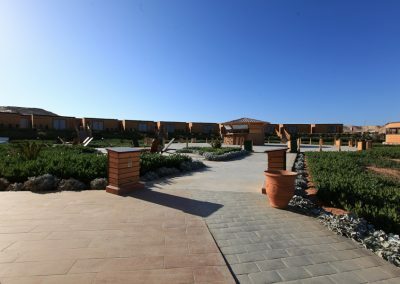 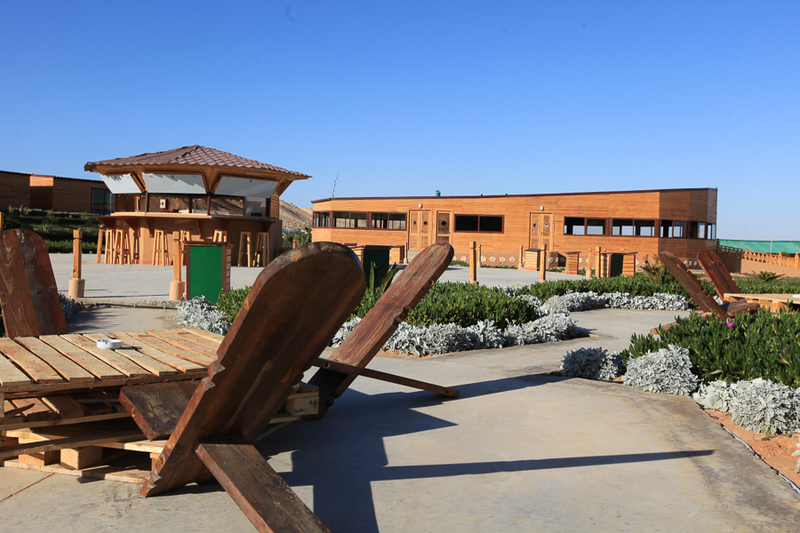 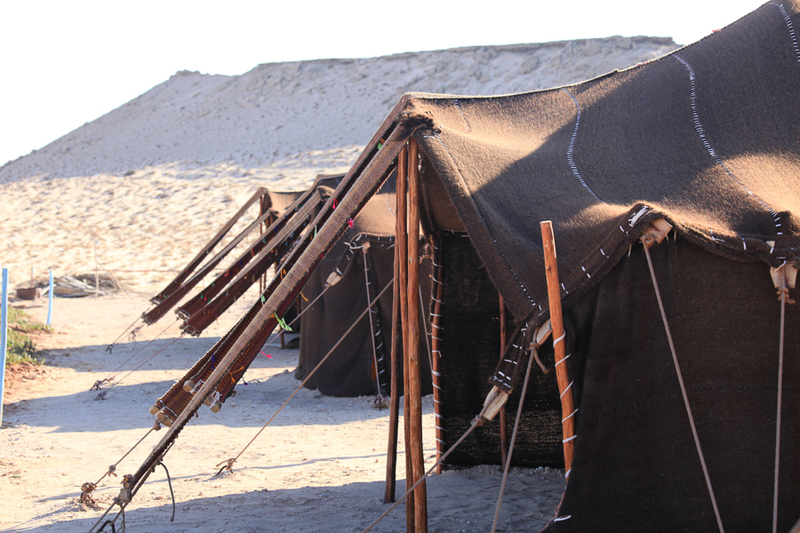 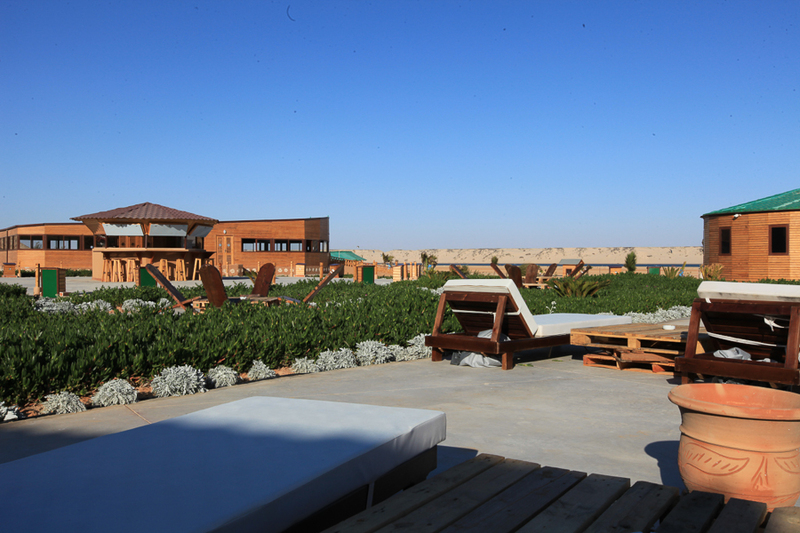 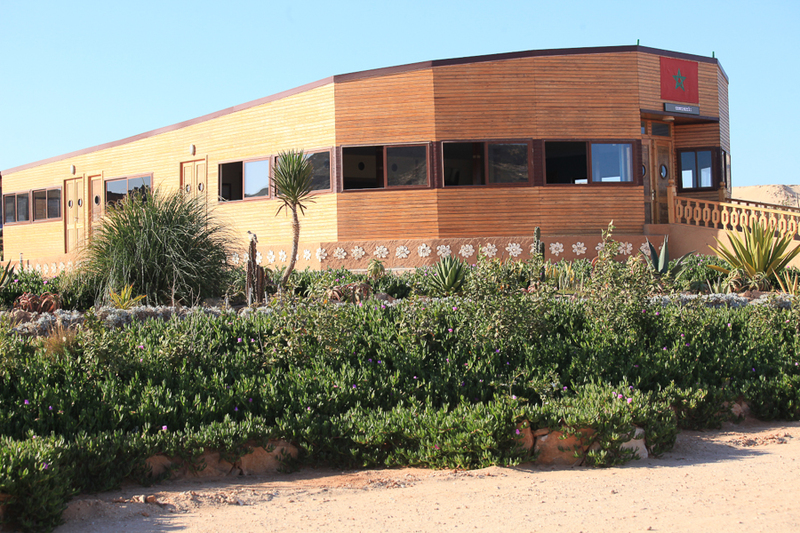 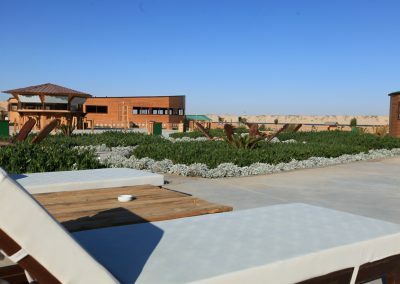 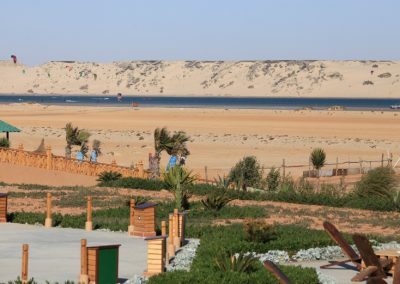 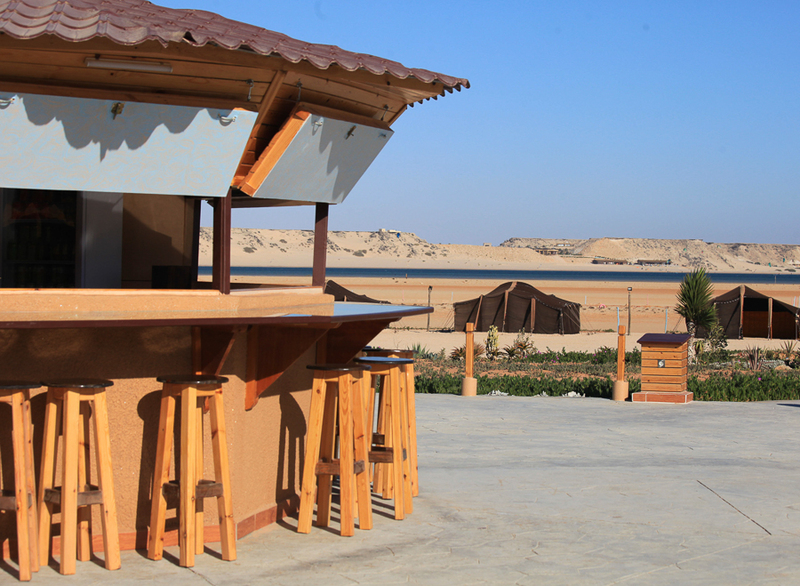 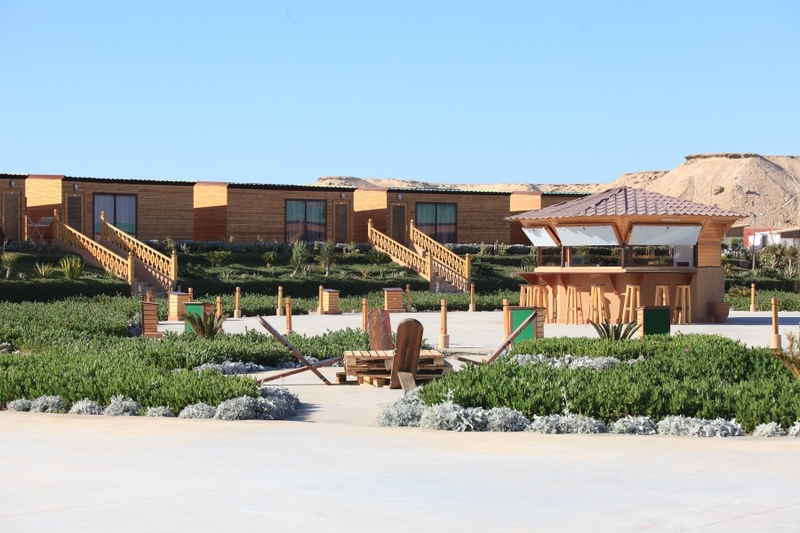 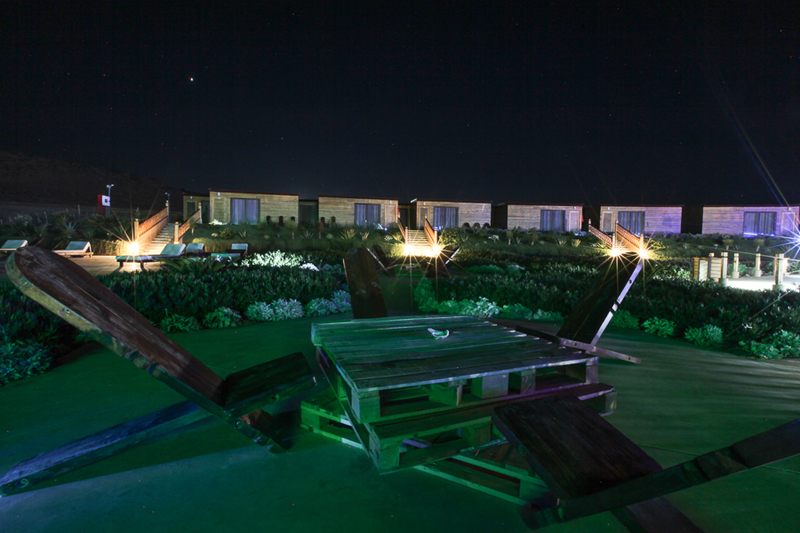 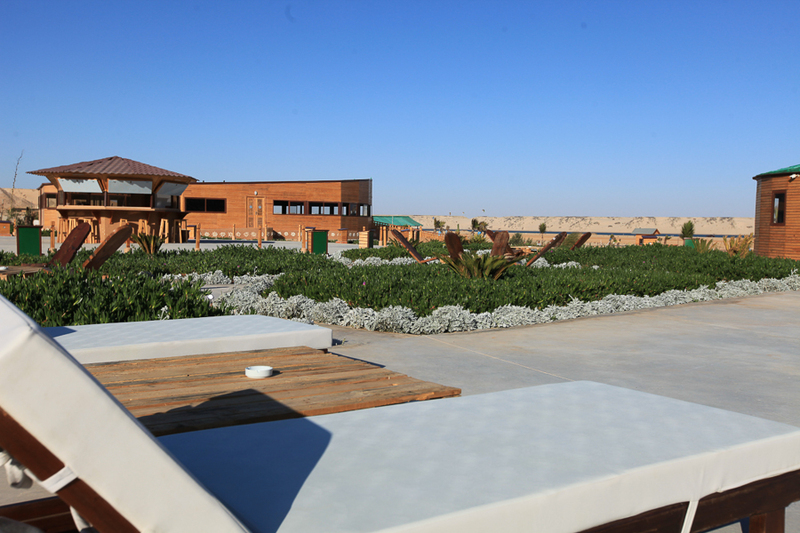 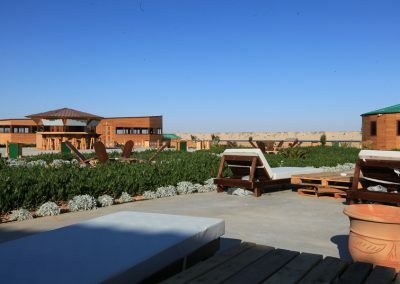 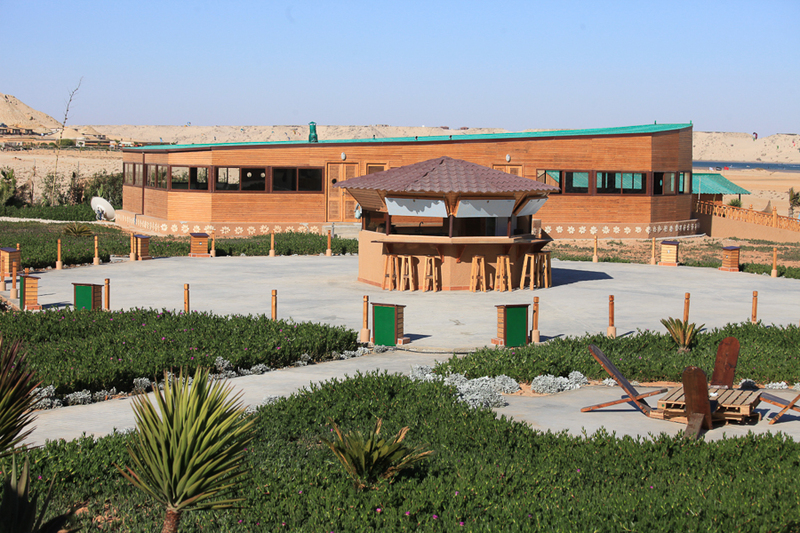 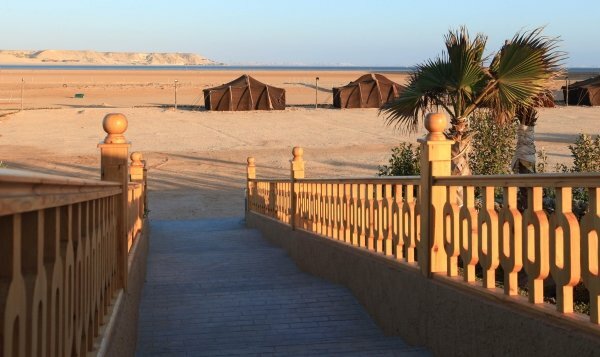 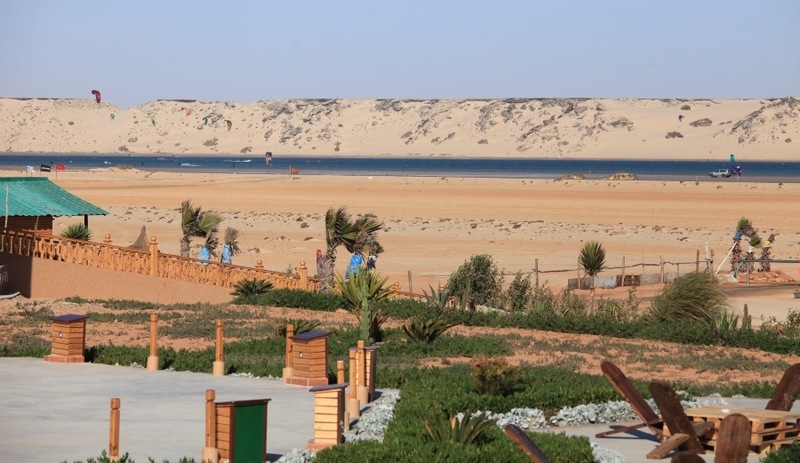 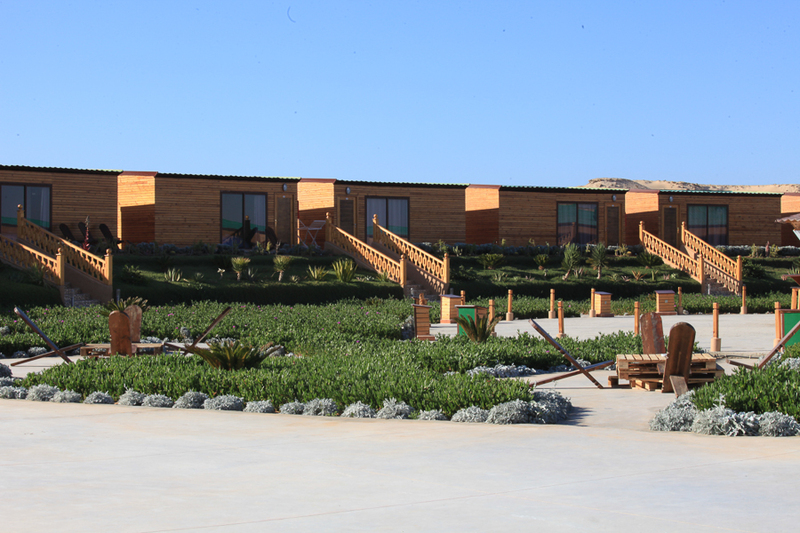 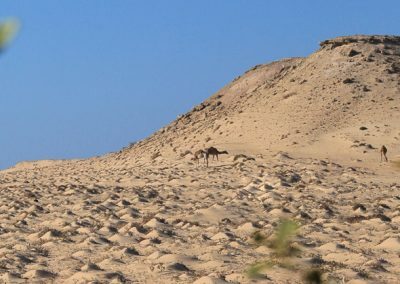 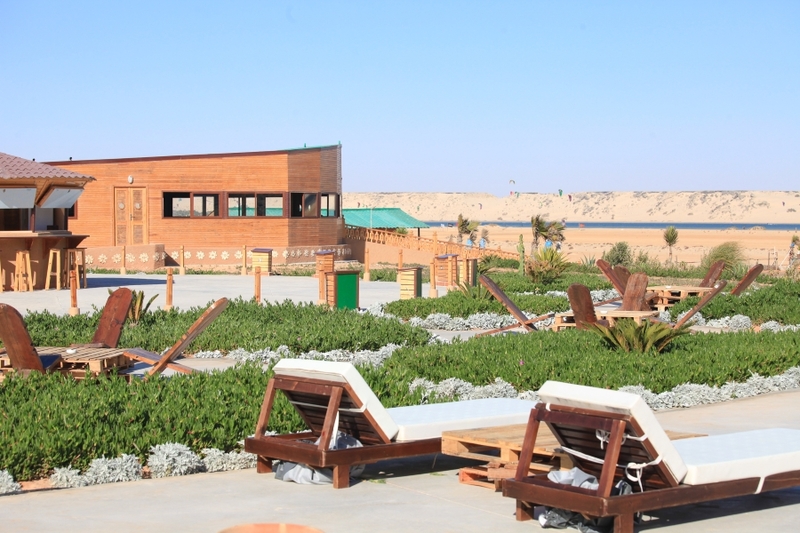 Located at about 25 km from Dakhla, we are few steps from the lagoon and surrounded by sand dunes. 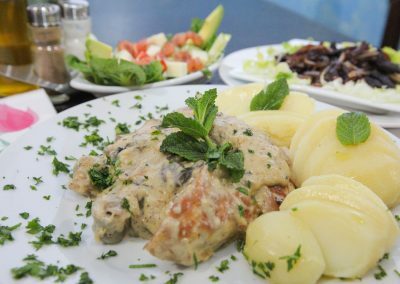 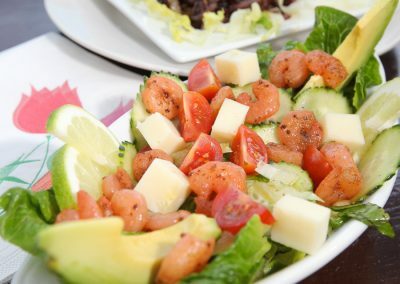 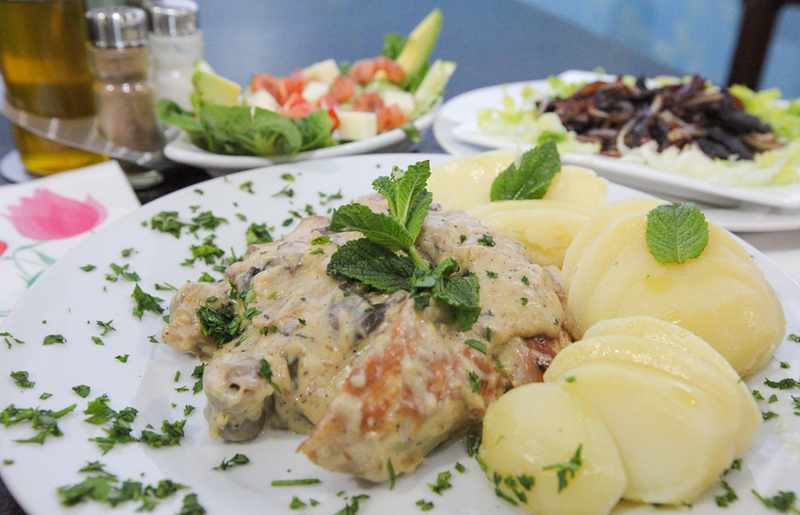 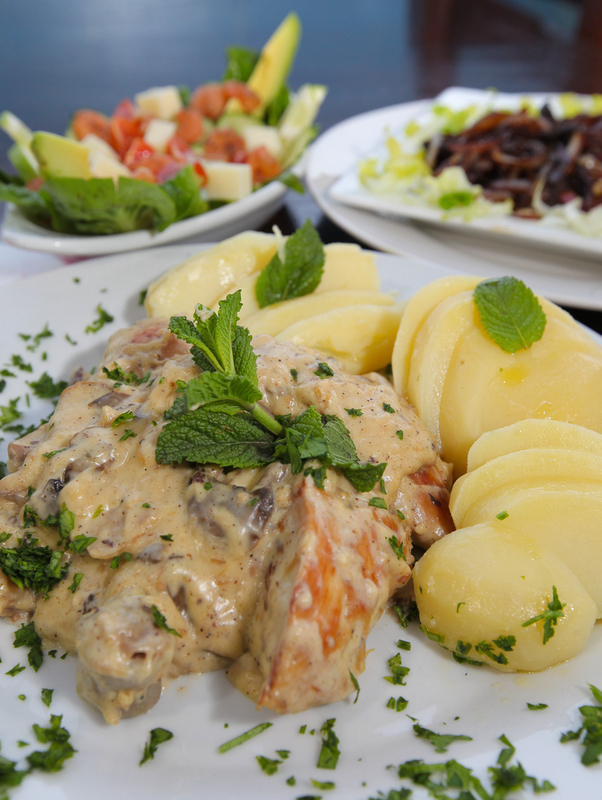 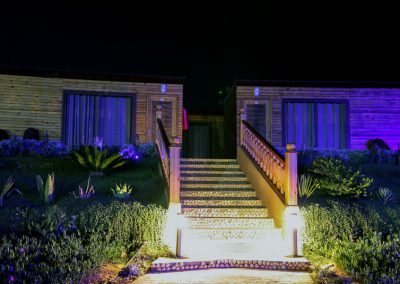 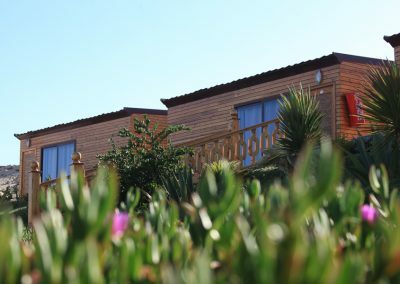 There are 20 comfortable fully-equipped bungalows with free wifi access, a restaurant catering Moroccan cuisine and much more! 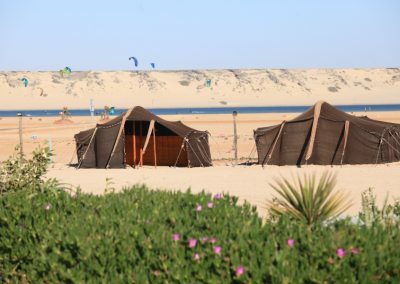 Dakhla Kitesurf World is a new camp providing top notch kiting program for all levels and casual-chic acommodation with a dash of authenticity in such a way to experiene the local culture. 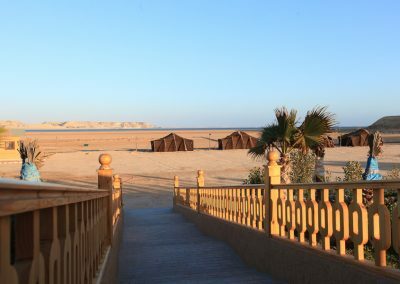 Located at about 25 km from Dakhla, we are few steps from the lagoon and surrounded by sand dunes. 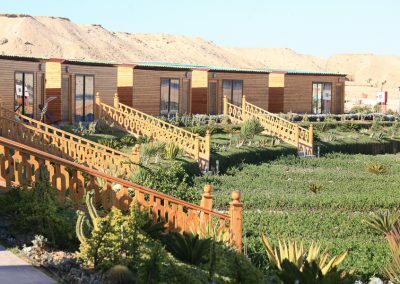 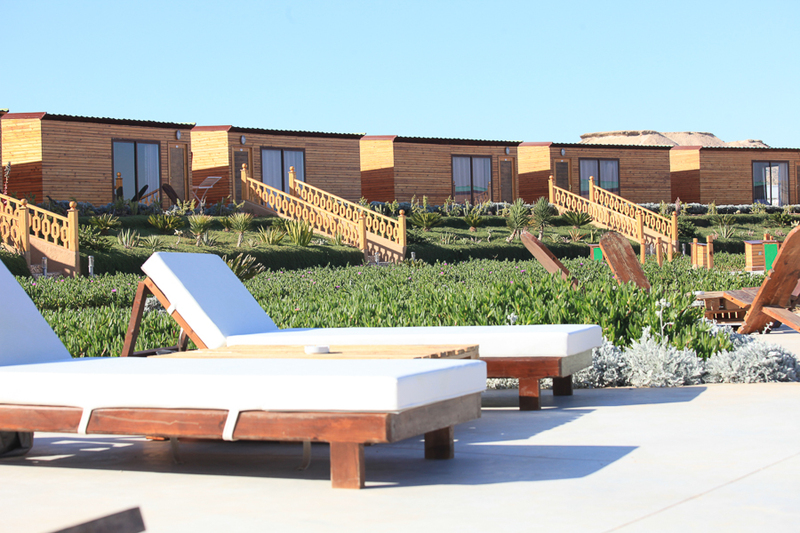 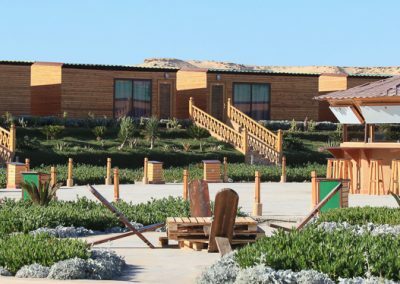 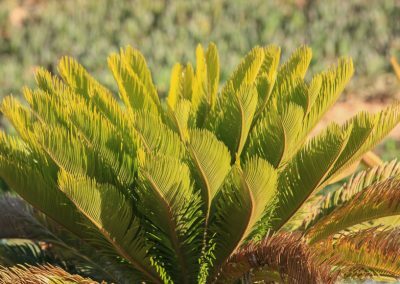 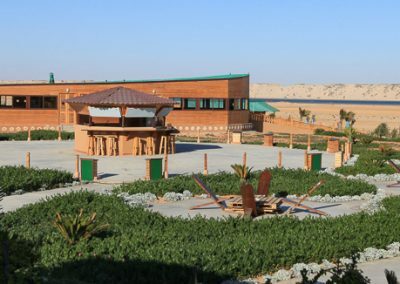 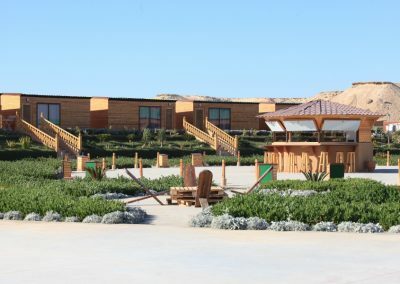 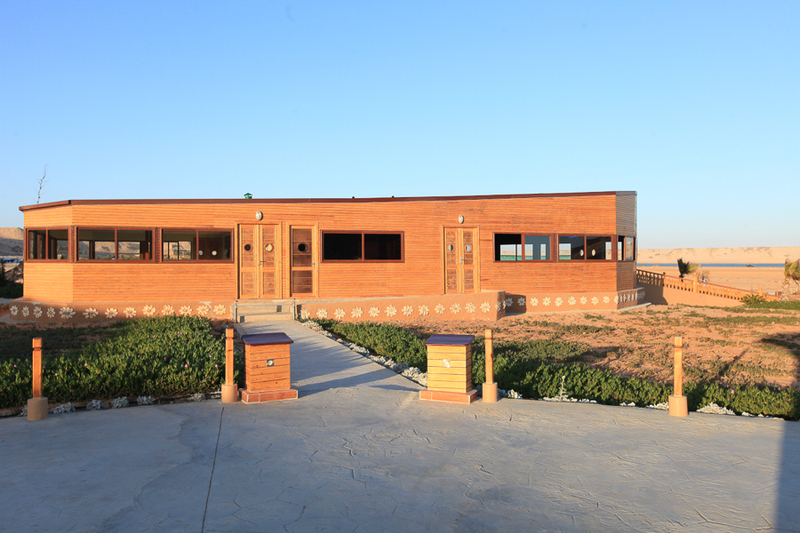 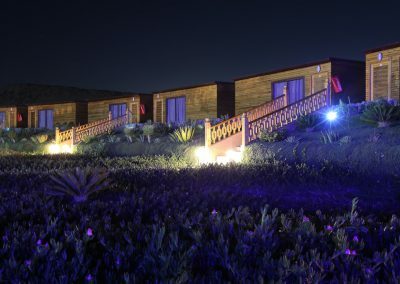 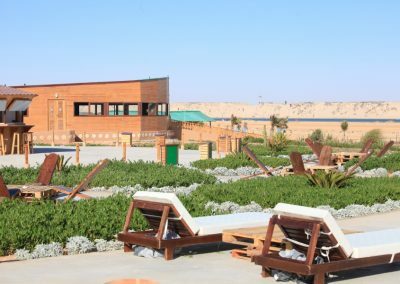 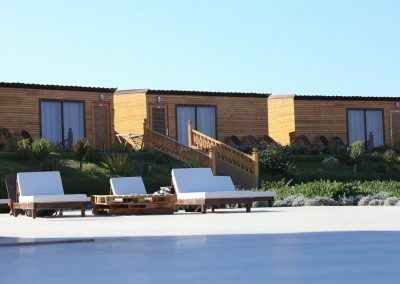 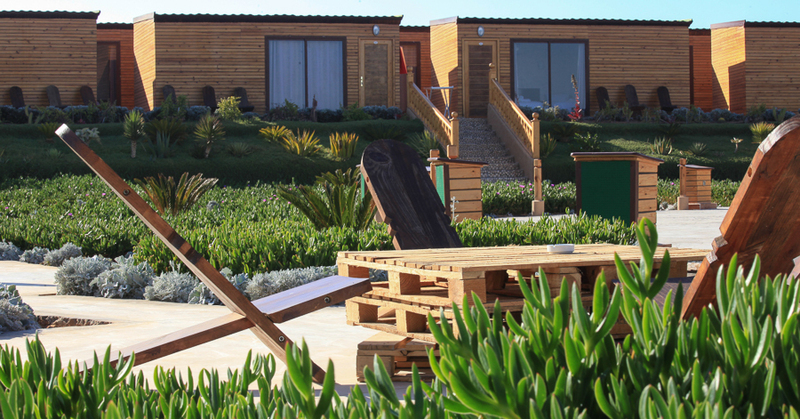 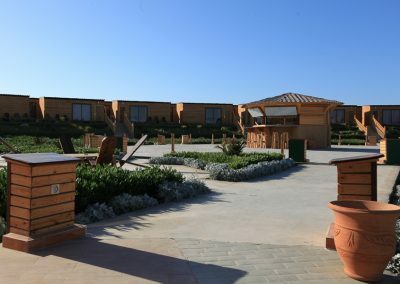 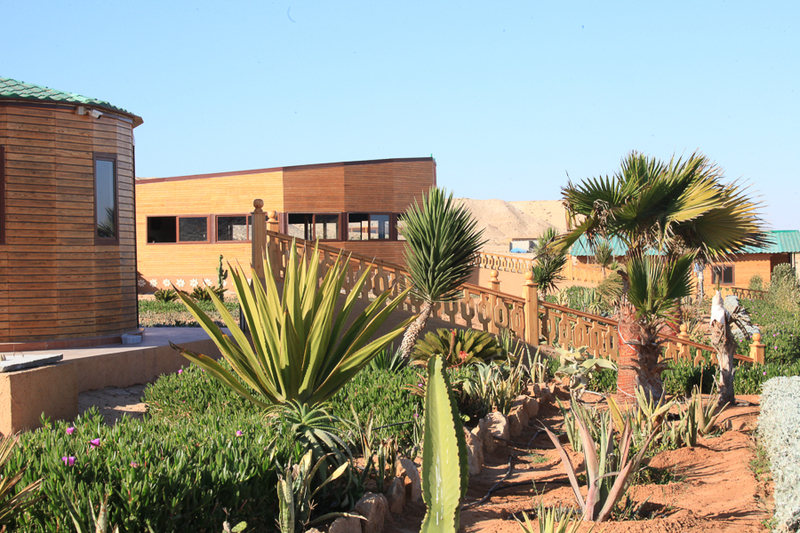 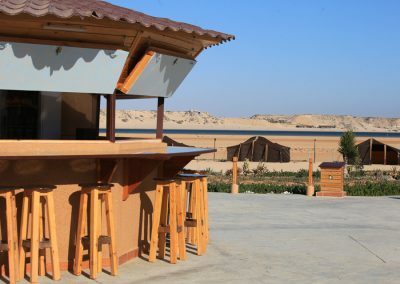 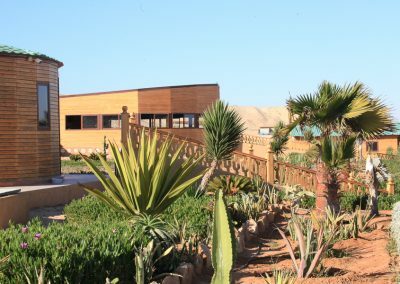 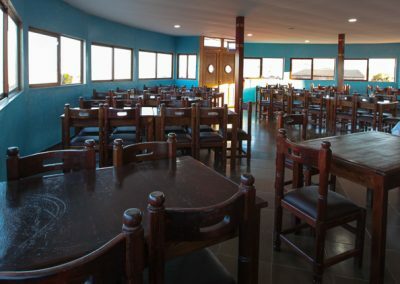 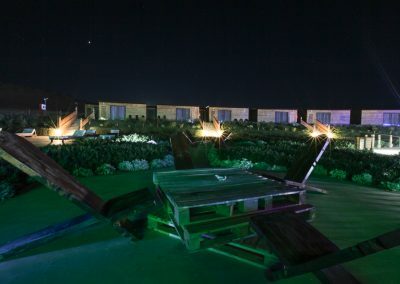 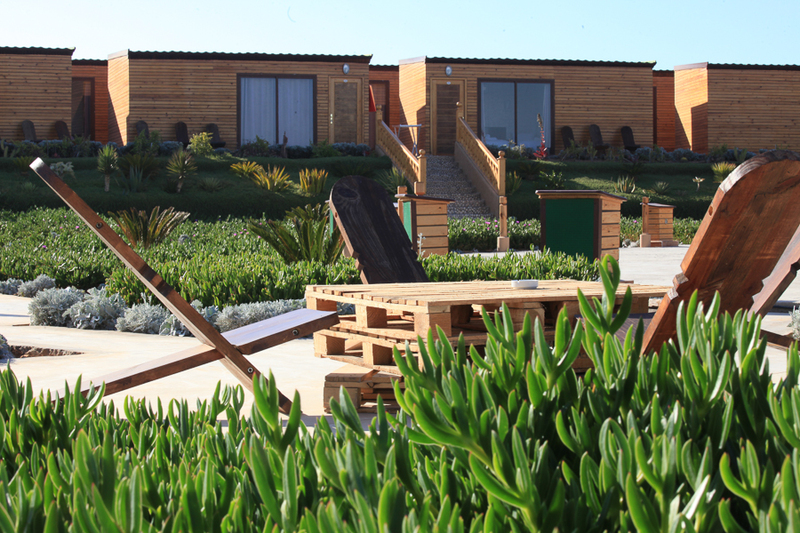 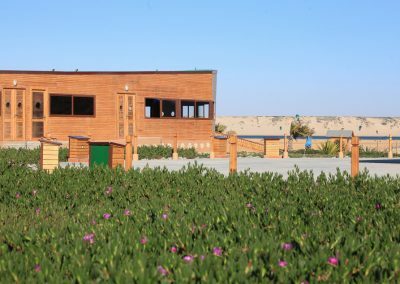 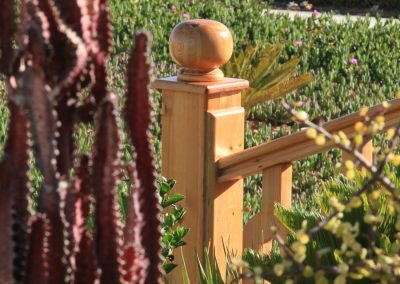 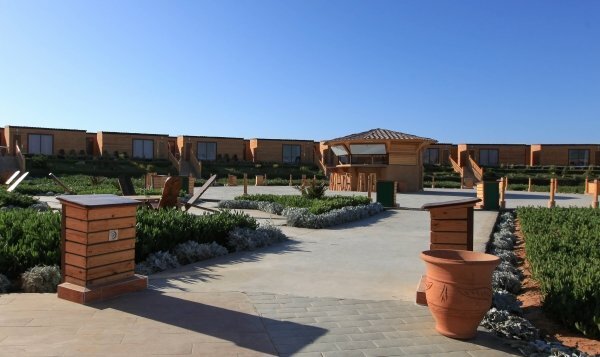 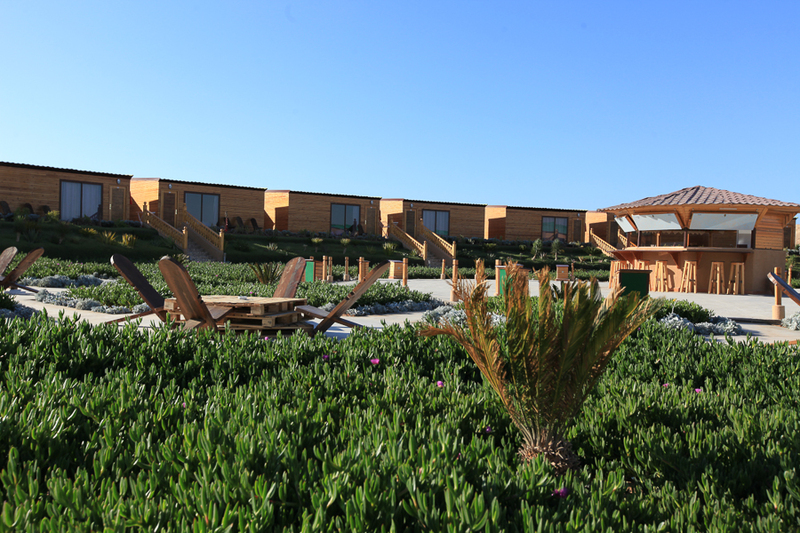 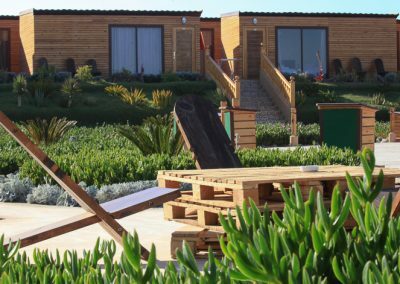 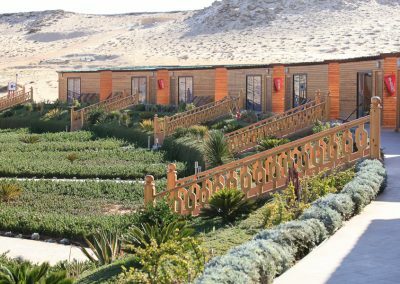 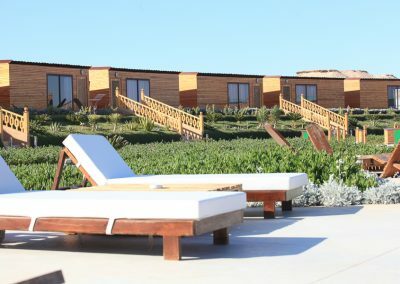 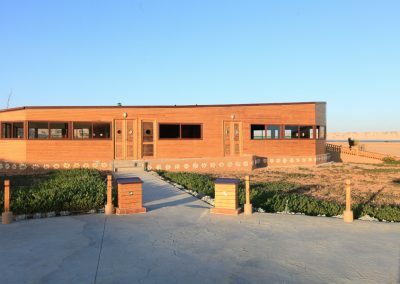 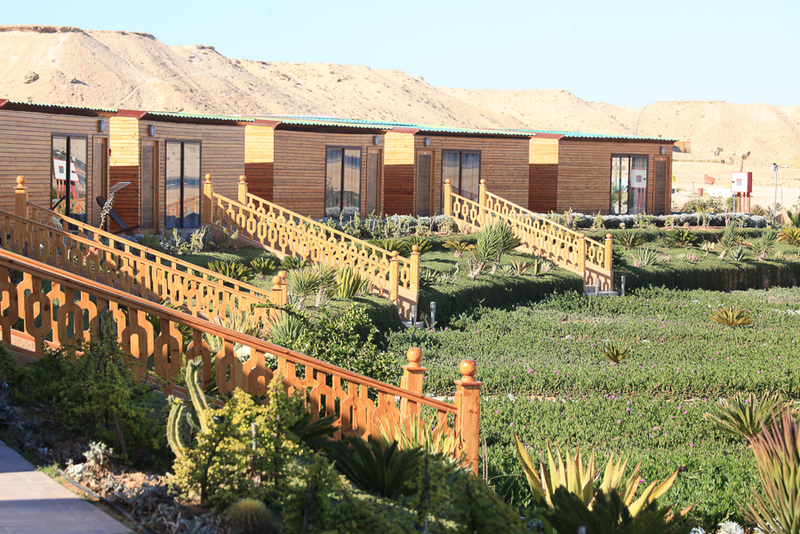 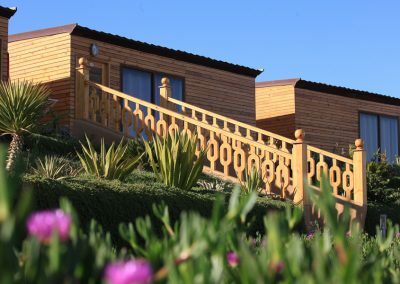 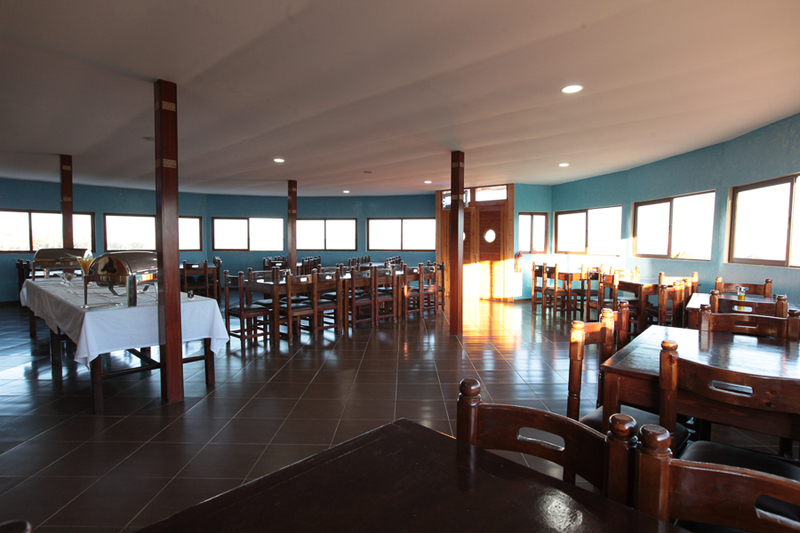 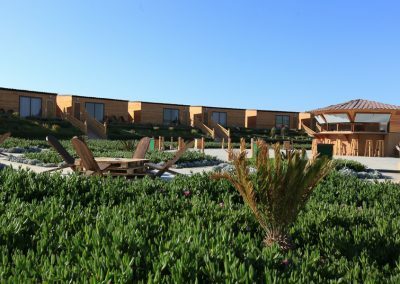 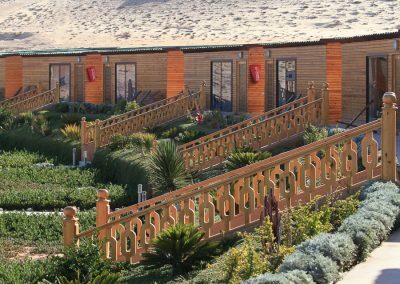 There are 20 comfortable fully-equipped bungalows with free wifi access, a restaurant catering Moroccan cuisine and offering a magnificent view of the Dakhla lagoon and surroundings, an open air lounge area and berber tents for local tea ceremonials or other events. 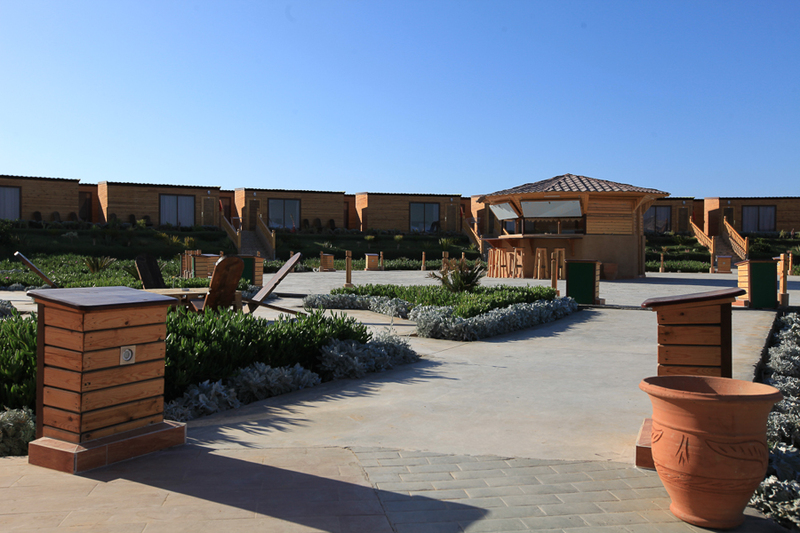 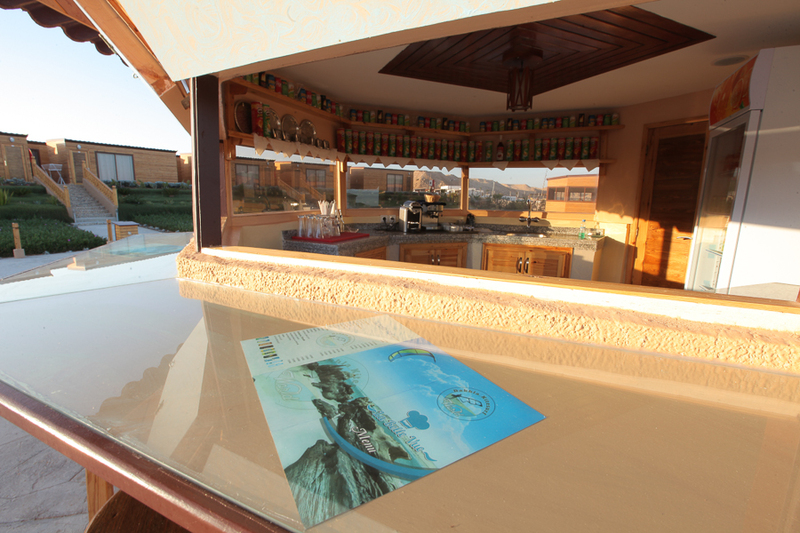 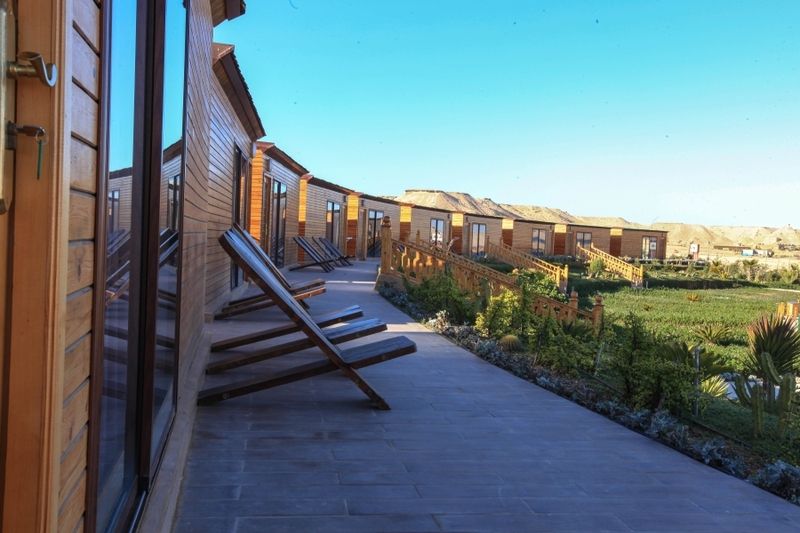 Facing the lagoon which is few steps away, our Deluxe bungalows have an amazingly stunning view. 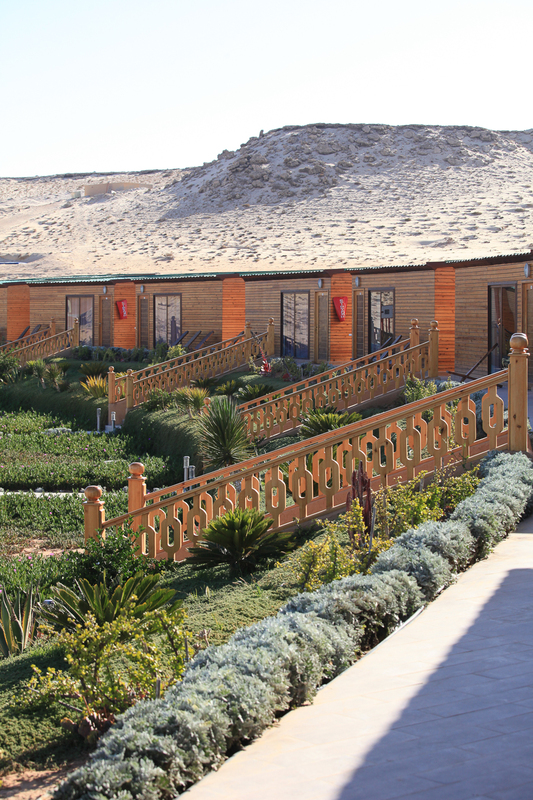 We have you covered even in the middle of sand dunes, you get wifi access in the bungalow and for free. 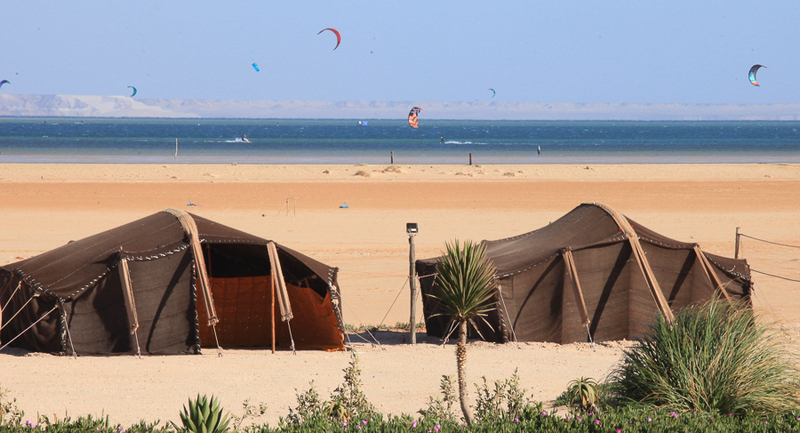 Our team will asisst and help in making your stay pleasant and your kiting experience worthwhile. 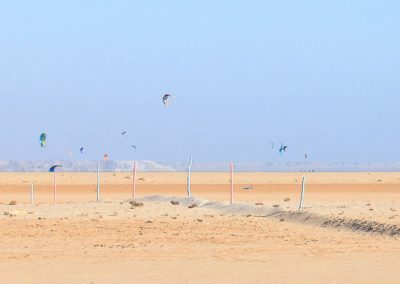 We offer kiting lessons and because your satisfaction and safety are our priorities, we have the right gear and certified instructors. 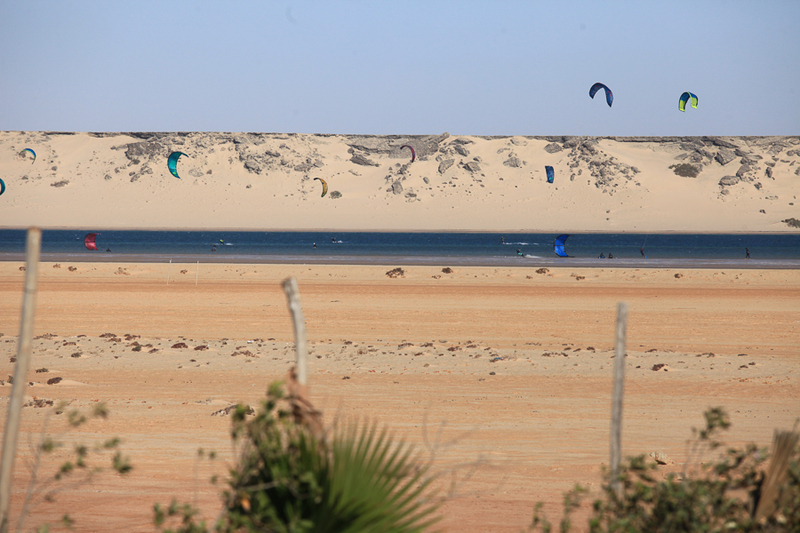 We represent the well established and known Dutch brand Peter Lynn which has specialized in making top quality kites. 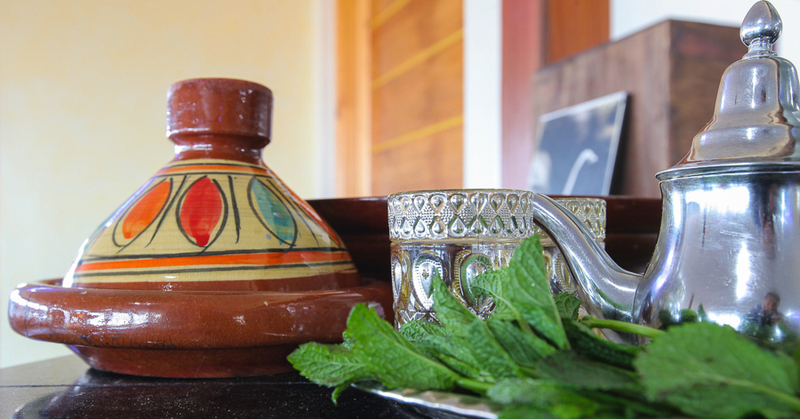 Our experienced instructors can teach all levels and in different languages. 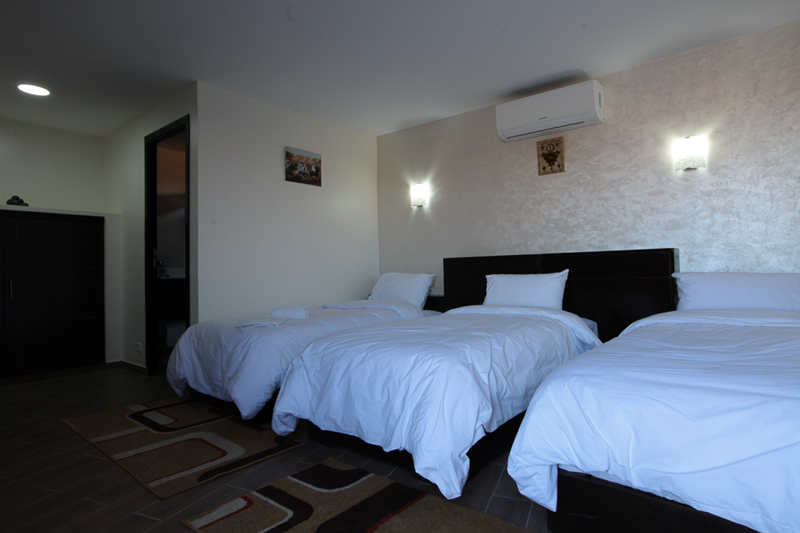 You can choose from different accommodation arrangement depending on your preferenes. 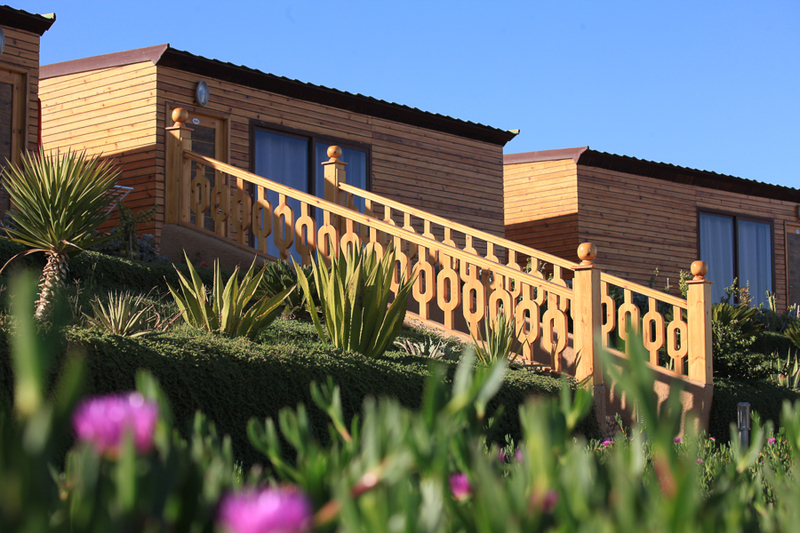 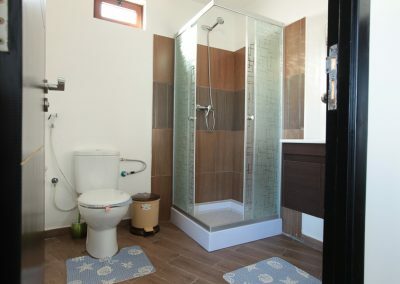 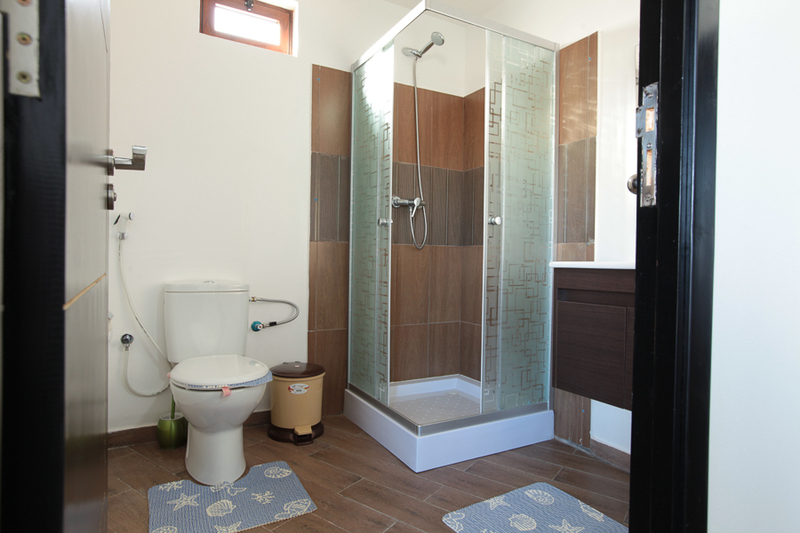 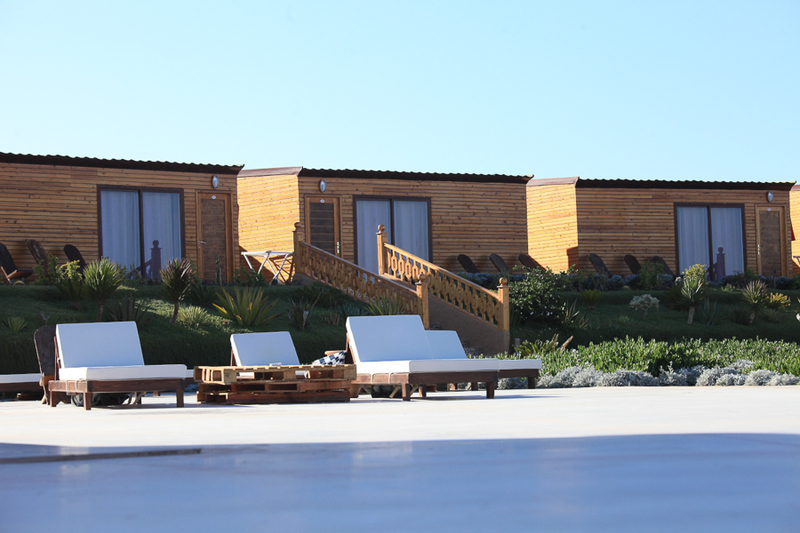 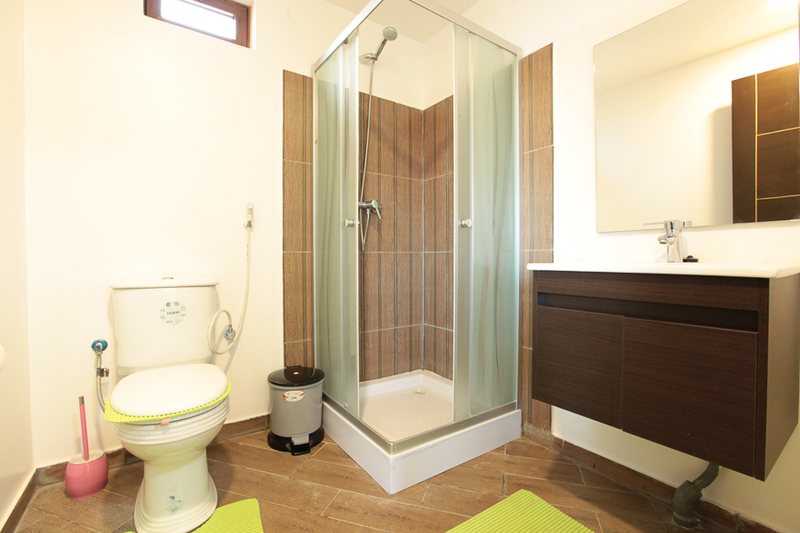 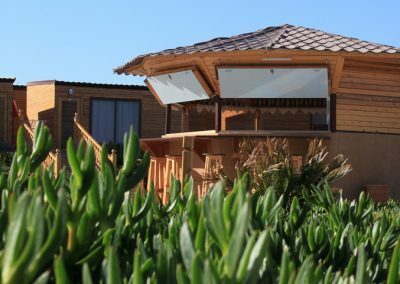 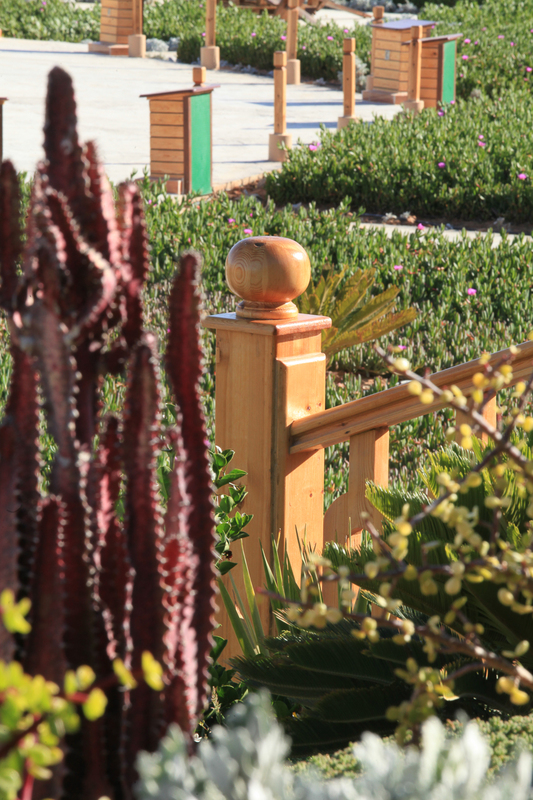 All our bungalows are comfortable and well equipped suitable for up to 3 adults. Deluxe bungalows have a breathtaking lagoon view. 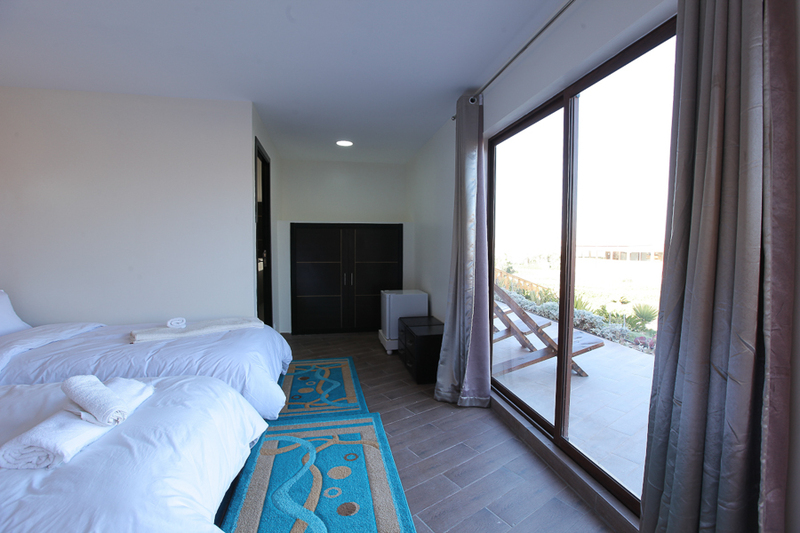 Wake up every morning to a stunning view. 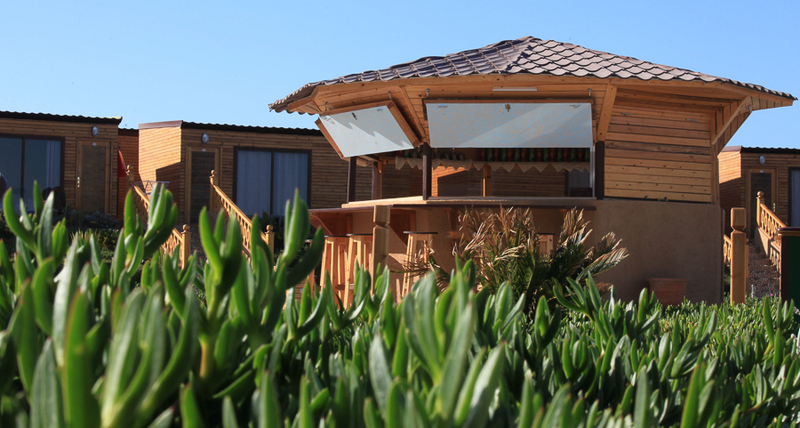 Our Deluxe bungalows provide and all the comfort you’ll need during your stay topped up with a front lagoon view. 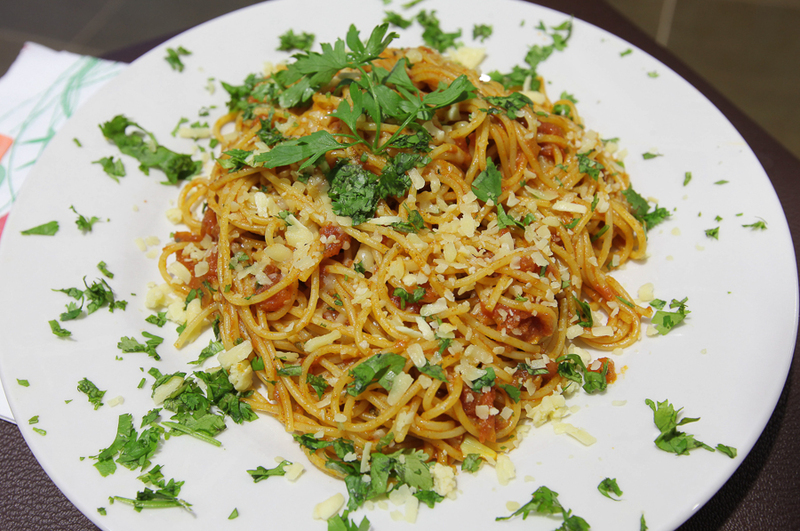 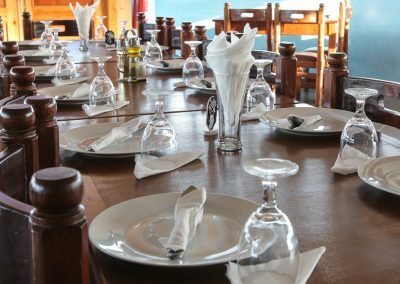 There are different arrangements suitable for 1 up to 3 guests. 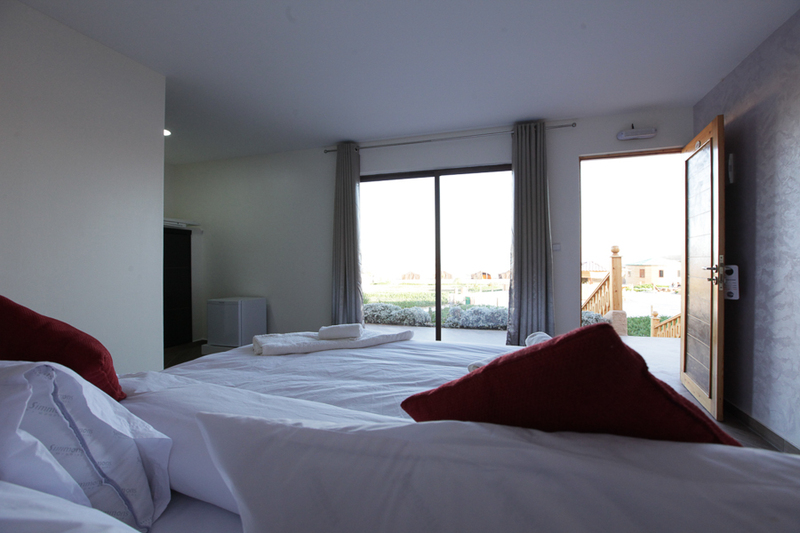 Wake up every morning to a stunning view. 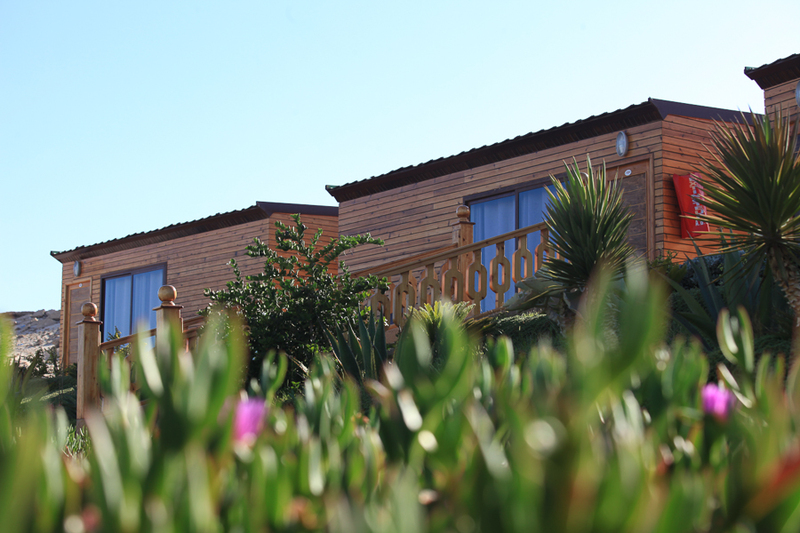 Our Deluxe bungalows provide and all the comfort you’ll need during your stay topped up with front lagoon view. 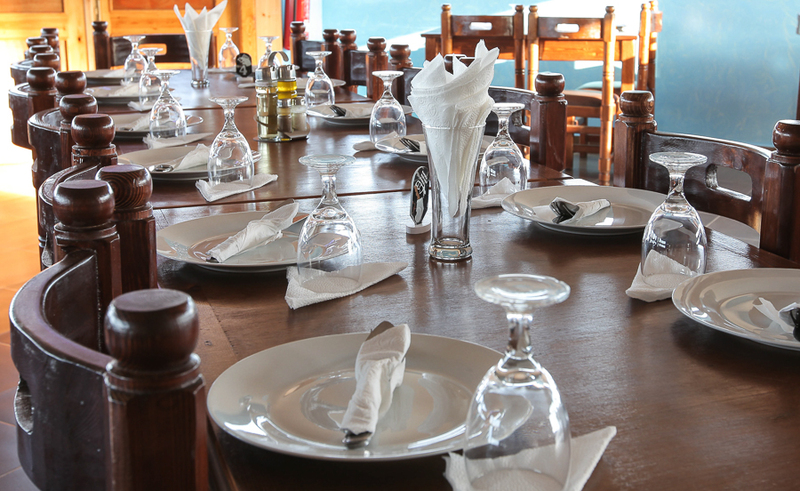 There are different arrangements suitable for 1 up to 3 guests. 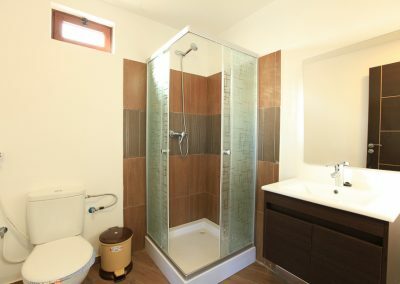 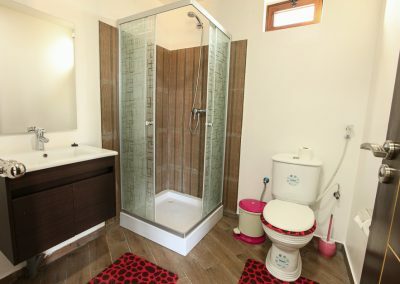 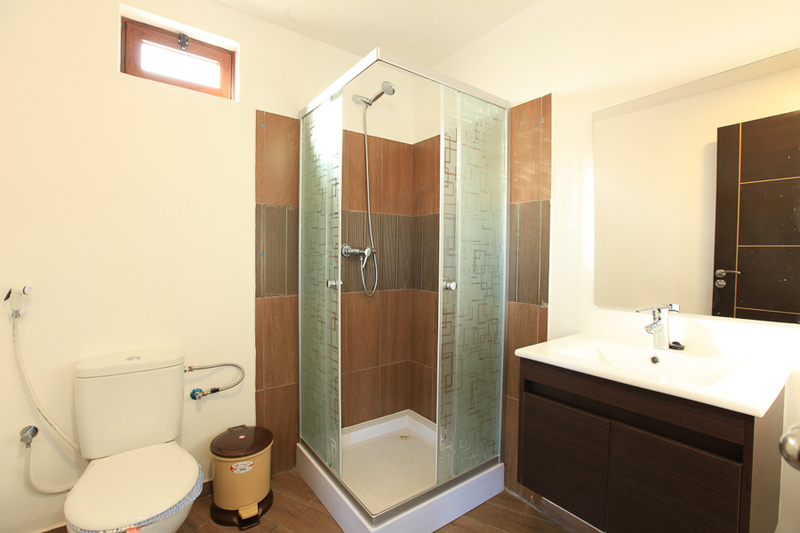 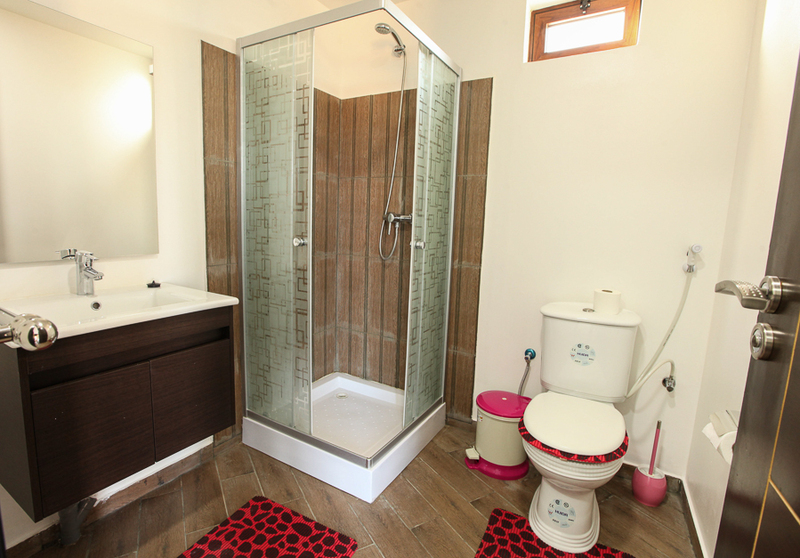 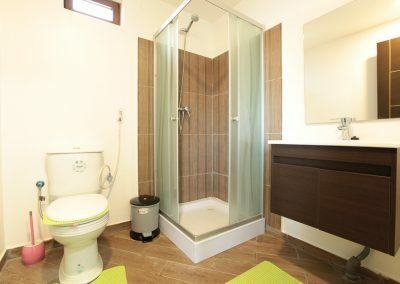 Standard Bungalows are as comfortable and equipped as Deluxe Bungalows other than their location on second line. 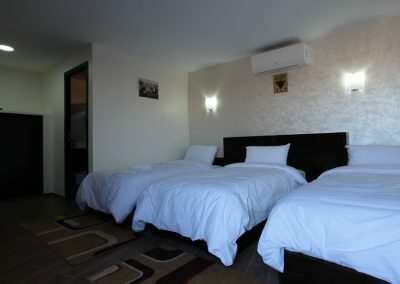 There are also different options to choose from depending on the number of people to accommodate. 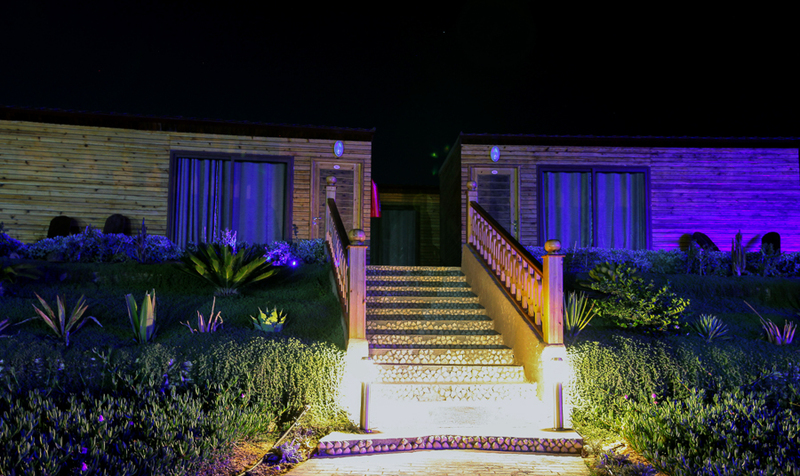 Standard Bungalows are as comfortable and equipped as Deluxe Bungalows other than their location on second line. 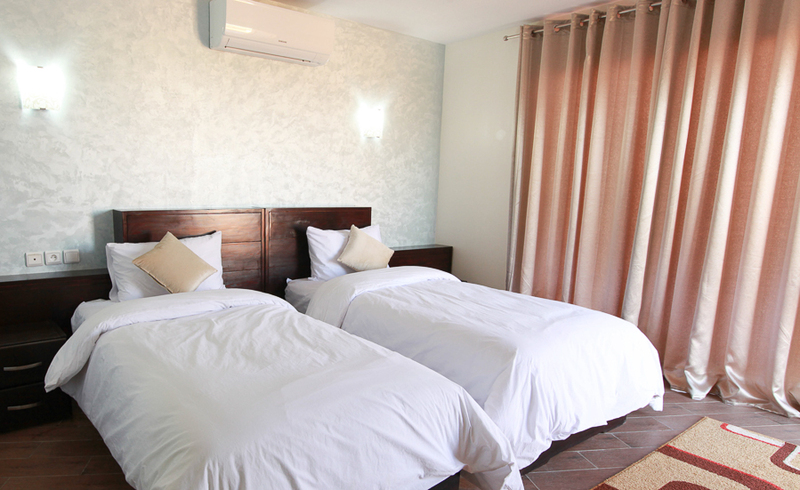 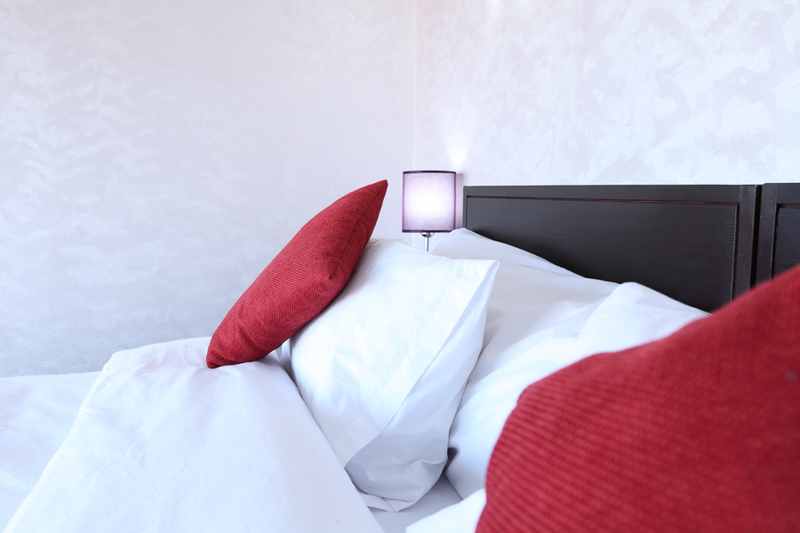 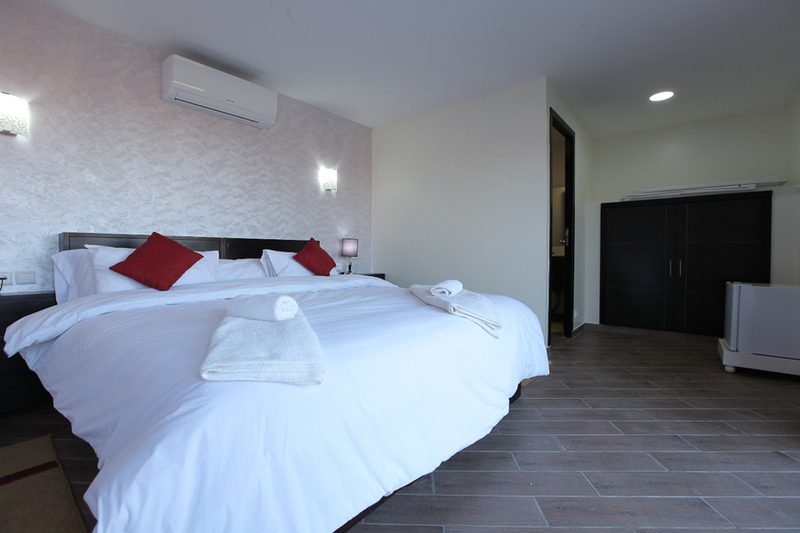 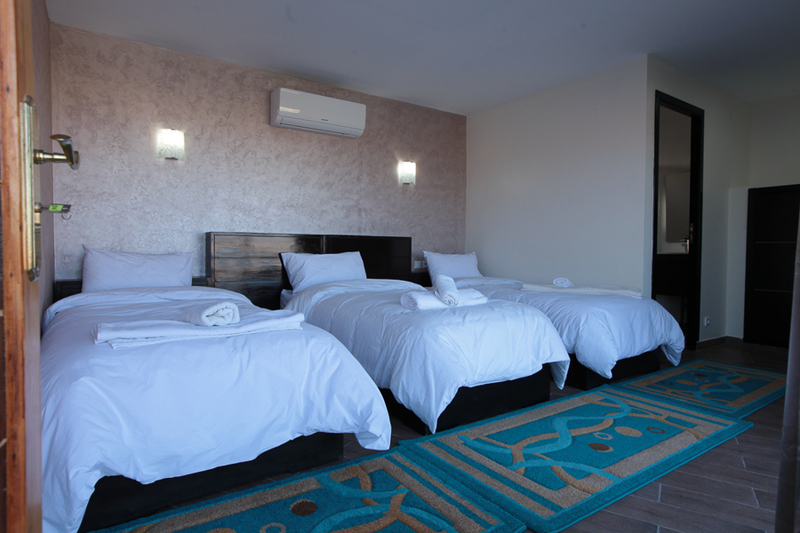 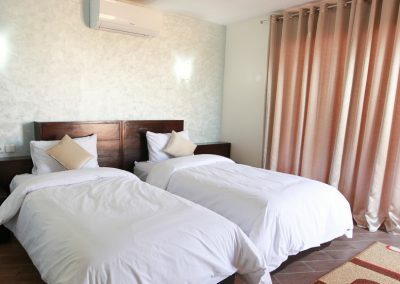 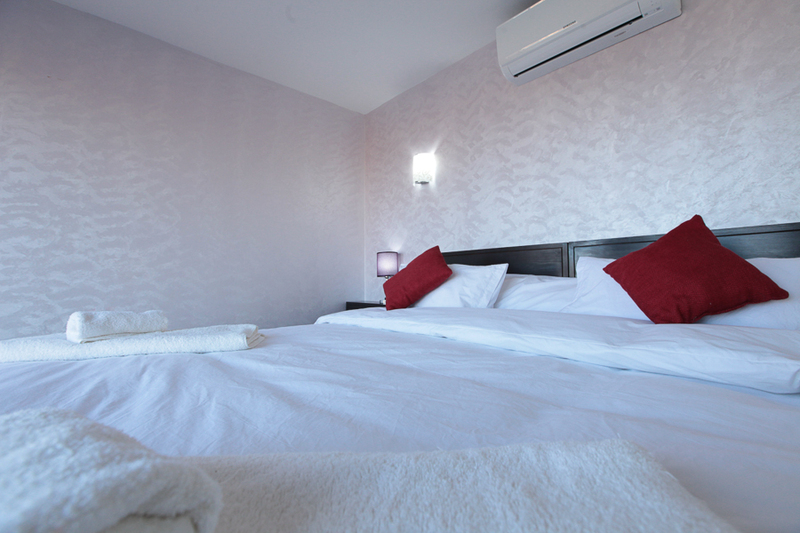 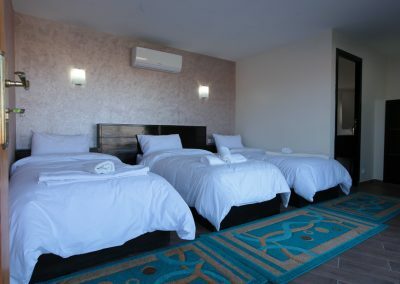 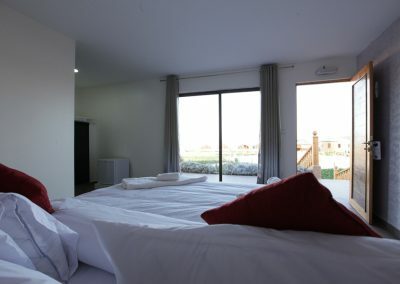 There are also different options to choose from: King-size, Twin or Triple beds. 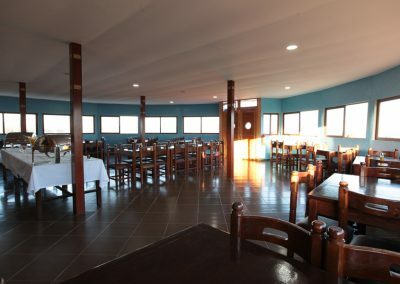 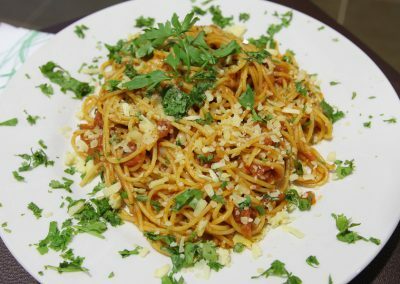 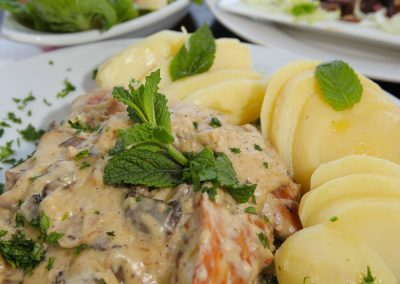 booking.com La cuisine est fantastique et le personnel au petit soin Très belle voilerie sécurisée Un super rapport qualité prix à deux pas du spot. 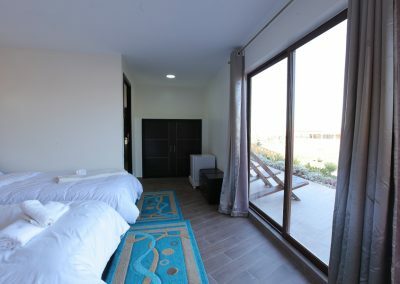 booking.com Personnel adorable, nourriture excellente et copieuse, chambre spacieuse avec vue sur la lagune. 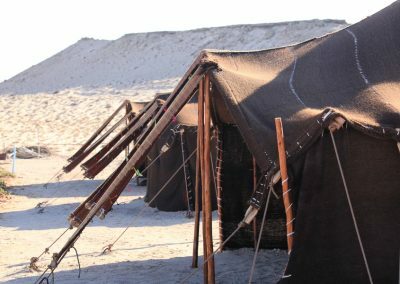 Un peu éloigné du spot à marée basse. 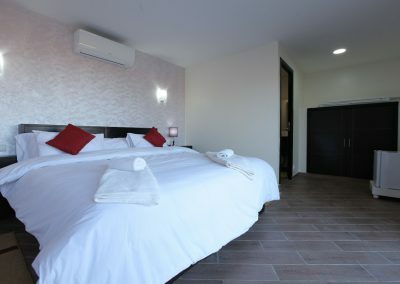 booking.com Bel endroit, neuf et confortable, personnel attentif et disponible. 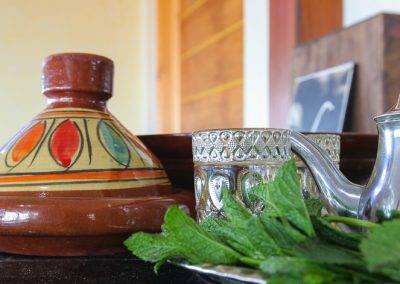 Thé a la menthe sous les tentes berbères avec feu de joie, bon moment le soir. 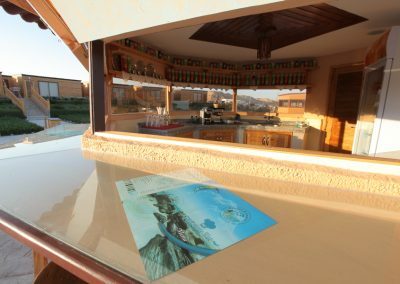 Tripadvisor Ouvrir les rideaux et se réveiller doucement en contemplant la lagune, c’est un vrai bonheur. 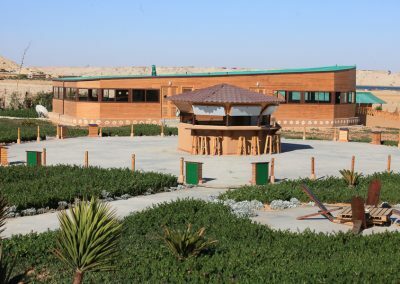 Contrairement à beaucoup d’autres camps de bric et de broc à Dakhla, ici tout est neuf, propre, simple et beau. 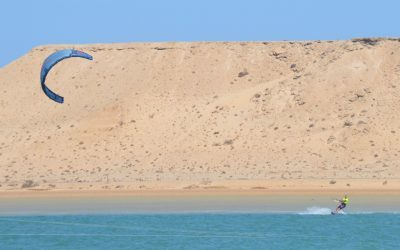 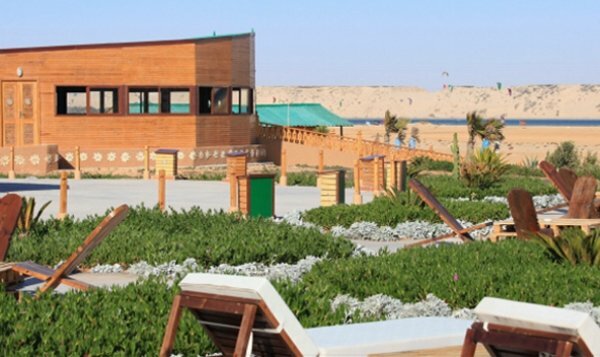 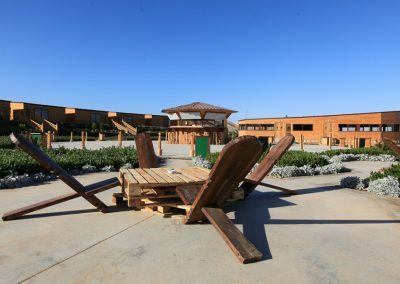 Tripadvisor Je vous recommande vivement Dakhla Kitesurf World, pour sa jeune équipe toujours prête à vous servir et à vous rendre service. 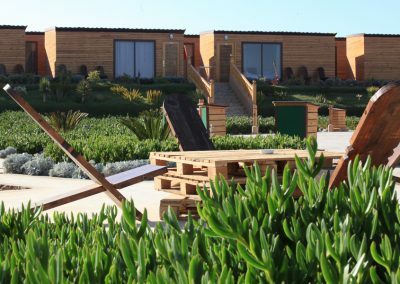 Le camp est tout neuf, les bungalows sont spacieux et propres, la cuisine est bonne. 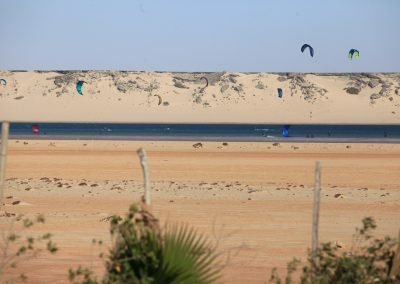 On est à 100 m de l eau, situé a côté des autres centres de kite: Spirit, UCPA, Zénith, Évasion, etc..
C est une super adresse que je vous recommande sans hésitation, et pour sur j y reviendrai…. 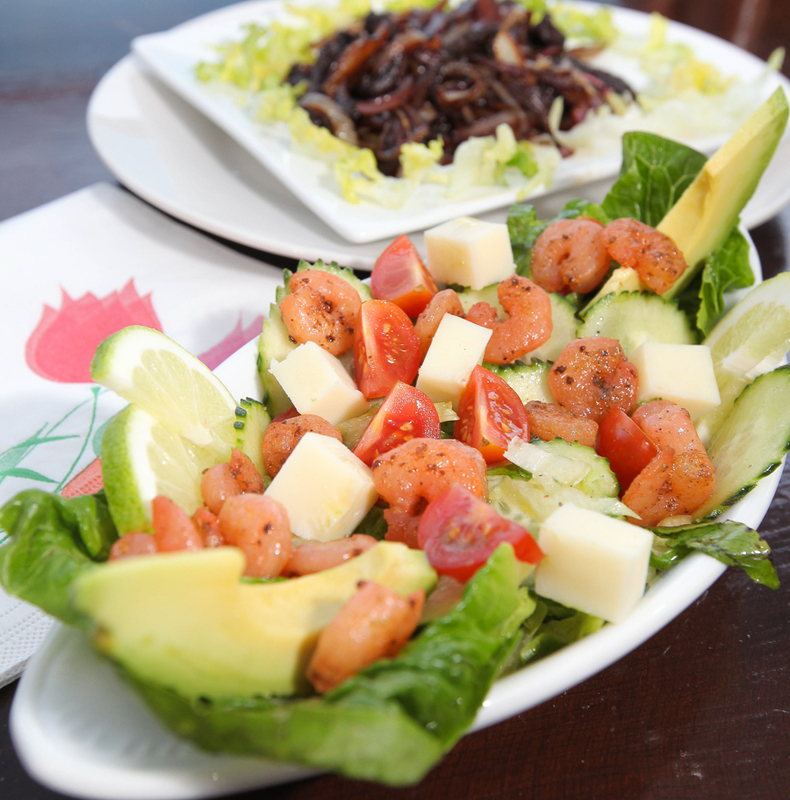 Join our mailing list to receive specials and updates.